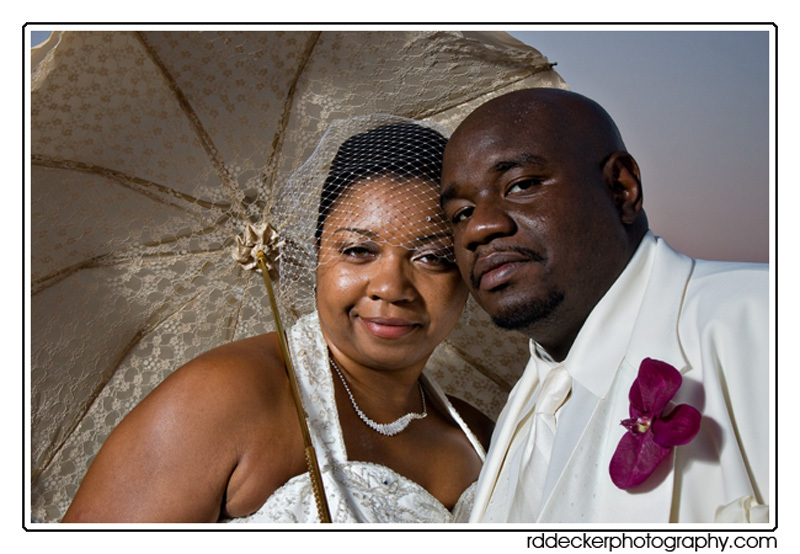 Veronda and Nick reaffirmed their wedding vows September 18, 2010 at Visions Events & Beyond, Atlantic Beach, North Carolina. Video coverage was provided by DJ Professionals & Video. The couple enjoyed a beautiful ceremony with the bride arriving via horse and carriage. The reception was held on the second story deck overlooking the beach. A great time was had by all. Congratulations Veronda and Nick. Be sure to check out their slideshow by clicking here or on their photo below. Such a beautiful couple! I love her umbrella and how it doesn’t take over the photo but adds dimension. Great work. Great Work! I love the processing you do on your photos. I can see you spend extra time making it look great. The couple looks great! This is so romantic! To redo your vows. The images is wonderful! This is beauty..I love her necklace…God Bless you guys!